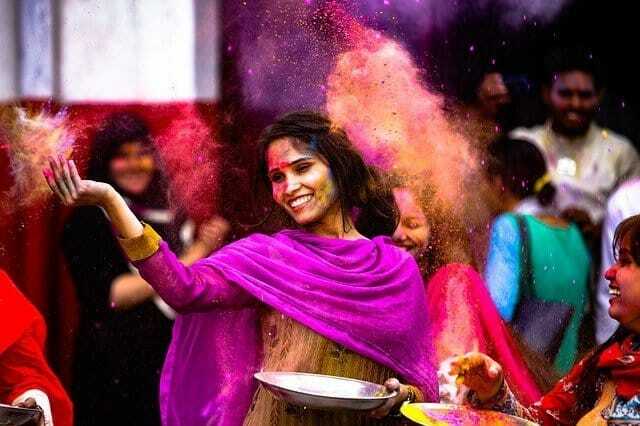 India is one of the most popular destinations in South Asia for decades now. 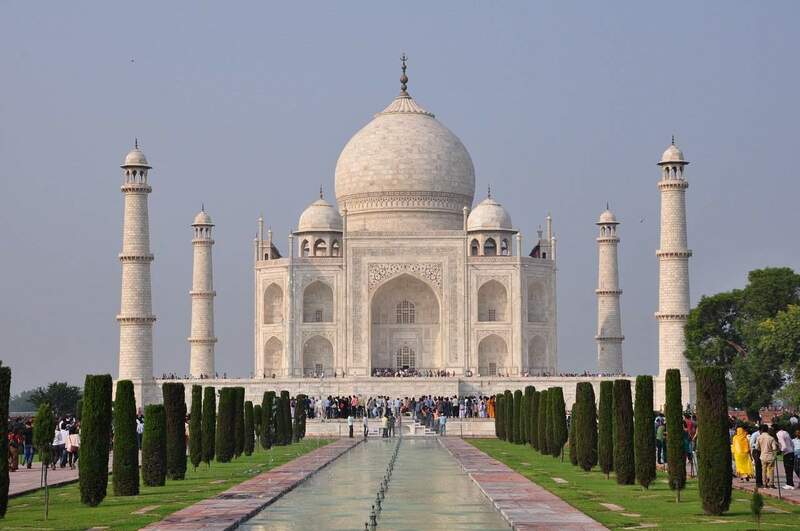 Given they have one of the 7 wonders of the world; Taj Majal, they also have the world-class dishes, and of course, it's a very affordable destination. The locals speak English very well too, which attracts a lot of travellers from everywhere in the world. Entering India is very easy too, the offer visa-free access to a few countries but also has an e-Visa program for most nationalities. They have made it convenient through e-Visa application and processing. 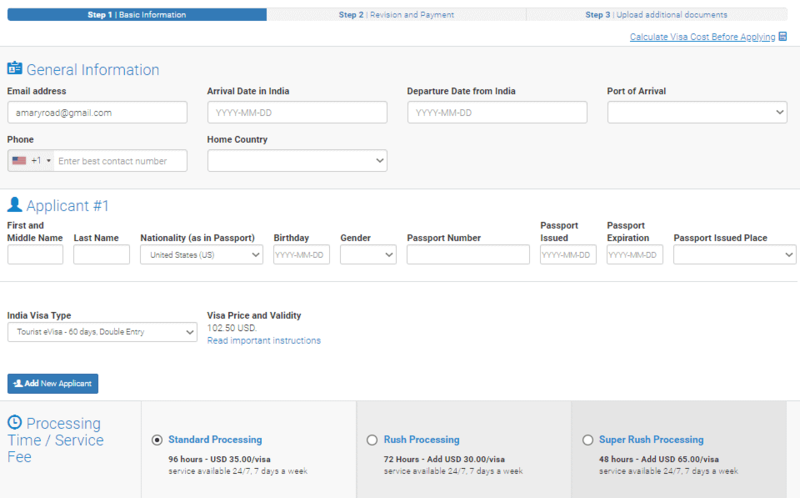 That said, if you’re planning a trip there soon, here’s what you need to know on how to apply for India visa online. 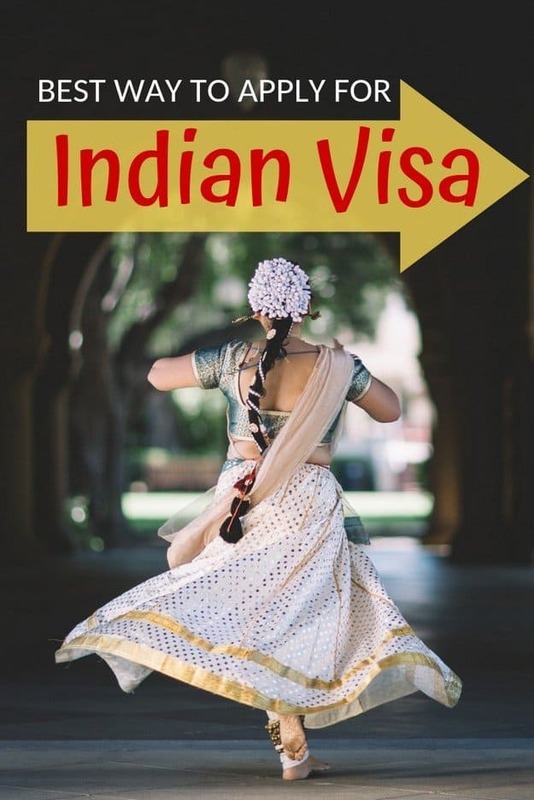 In this article, you will find the countries who do need a visa to enter India, while the main focus is to walk you through how to apply for India visa online - step by step. Before you get started on your application, you might want to check first if you’re eligible to visit India without visa obligations. If you’re a citizen of Bhutan, Maldives, and Nepal, you will be permitted visa-free entry into Indian soil, provided you’re not arriving from mainland China. 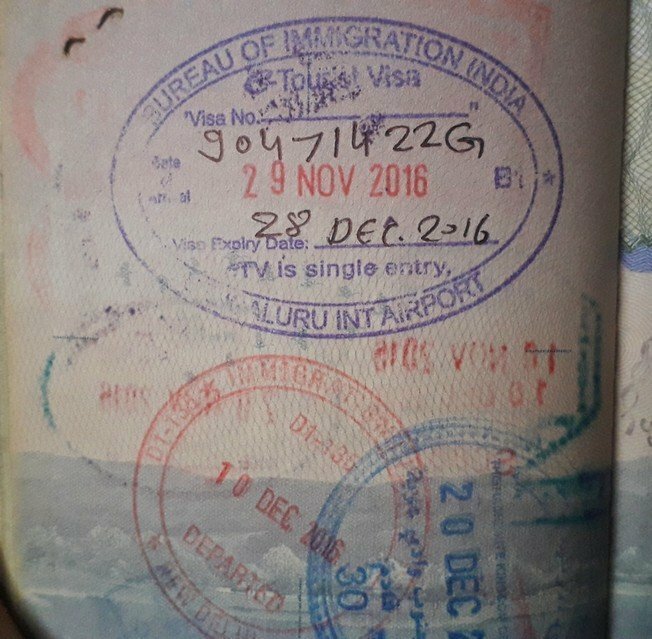 India also allows visa-free entry to visitors with Persons with Indian Origin (PIO) Card or Overseas Citizen of India (OCI) Card, as long as you’re not a citizen of Afghanistan, Bangladesh, Bhutan, Nepal, or Pakistan. Let’s save you a Google search: India’s POI card is a form of identification issued to a person of Indian origin who holds a passport in another country besides those aforementioned above. However, the POI is currently being replaced with the OCI card. Per India’s Bureau of Immigration, all POI cardholders are advised to convert their POI to OCI, and all handwritten POI is now invalid. The POI will only be accepted until 31 March 2019 and should be presented with a valid foreign passport. Although both cards come with lifelong validity, the OCI cardholders who is under 21 years old or over 50 years old will have to apply for a new OCI card every time he/she is issued with a new passport. TVoA processing costs $60 (non-refundable) per passenger including children. You will be required to present your passport (valid 6 months prior) with a minimum of 2 blank pages (for stamping), and to submit a photocopy of your passport, 2 passport size photos, and a copy of your return ticket. Your TVoA is valid for 30 days, non-convertible and non-extendable. Do note that you can apply for a TVoA twice in a calendar year with a minimum 2-month gap in between visits. Apart from your passport, prepare to print all your TVoA documents as you will need to present them at the airport immigration counter. And no, do not rely on your electronic copies as there’s a huge chance they will not honor them. For best measure, also prepare hard copies of your flight details, hotels, meals, tours, and everything else you booked in advance for your stay. REMEMBER: Apply for your TVoA at least 4 days before your date of arrival, and take note of your application ID - you’ll be needing this to complete your partially completed online application upon arrival in India. Scanned bio page of your passport in PDF format, minimum KB, maximum 300KB. Your photograph and personal details should be clear and visible. Digital photograph, front view showing your full face and open eyes without glasses. The background should be plain white, no facial shadows, and without a border. The photo should be in JPEG format with a minimum size of 10KB, maximum 1MB. The application fee is either $80 or $120 depending on your country of origin. 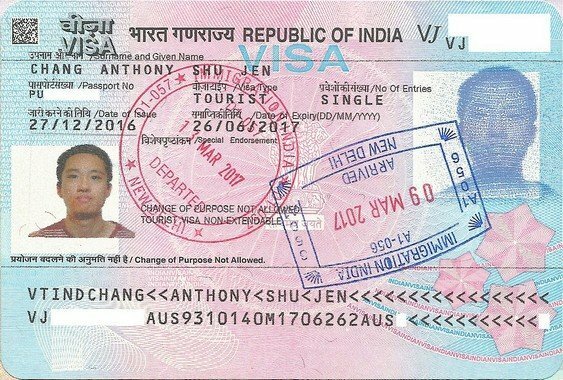 Citizens from Singapore, Japan and Sri Lanka however are only charged $25 for their e-Tourist visa, while fee is waived for citizens of Argentina, Cook Islands, Fiji, Indonesia, Jamaica, Kiribati, Marshall Islands, Mauritius, Micronesia, Myanmar, Nauru, Niue Island, Palau, Papua New Guinea, Samoa, Seychelles, Solomon Islands, South Africa, Tonga, Tuvalu, Uruguay, and Vanuatu. Your Indian e-Tourist Visa is valid for 60 days (non-convertible and non-extendable) from your date of arrival in India. Double entry is allowed per calendar year. Make sure that you have all the documents ready before starting the application plus your bank card for payment or PayPal details. Prepare supporting travel details such as hotel information which you’ll need to fill in the “References in India” section of the online application, flight schedule, and your financial account details for payment. Go to iVisa (I highly recommend and trust this visa agency),.You are highly advised to secure this process on your own to safeguard your personal and financial details. Select your nationality and choose if you need an e-Tourist visa, Medical visa or Business visa, then click apply. Or the official e-Visa portal of the Government of India. Fill in all required fields of the application form for your chosen visa type such as full name, passport details, port of entry, date of arrival in India and exit. Before proceeding to the next page, make sure to double check the information that you filled out, otherwise, you can no longer change any info. NOTE: Once this section is accomplished, an auto-generated application ID will be sent to your email address or you will be given an instruction on the next page. As a precaution, take a screenshot of the page with the unique ID or note it down. A link to the payment gateway will be provided to settle your Indian e-Tourist Visa application fee. Whenever you’re ready, tick “Yes”, click “Pay Now”, then select between Sbi e-pay or Axis Bank. Both banks accept online payment via debit card, credit card, or PayPal. After which, you will be required to upload the scanned copy of your passport’s bio page and digital photo. NOTE: Your e-Visa payment will incur an additional 2.5% bank charge and should be paid 4 days before your arrival date. Payment is non-refundable and does not guarantee approval. If you encounter 3 unsuccessful payment attempts, you will be required to apply again and a new application ID will be issued. Due to technical reasons and network delays, applicants are advised to wait at least 4 hours to check on their payment status by clicking on the “Verify Payment/Pay Visa Fee” tab. E-visa processing normally takes 72 hour or less if you pay for rush processing. You will be notified via email regarding your application result. If granted, you will receive an Electronic Travel Authorization or ETA. Remember to print a copy of your Electronic Travel Authorization or ETA. You will need to present this to the immigration officer once you landed in India. Once you have an approved copy of your Indian e-Tourist Visa and have been officially granted access into India, you will be advised to keep it on your person during your stay. A country of colorful history and unique traditions, India is nothing short of captivating; truly a no-brainer if you’re looking for a one-for-the-books travel experience. But as it is with every country, you will encounter challenges during your trip. So, here’s a quick rundown of important points to make your India visit safe, fun, and memorable. 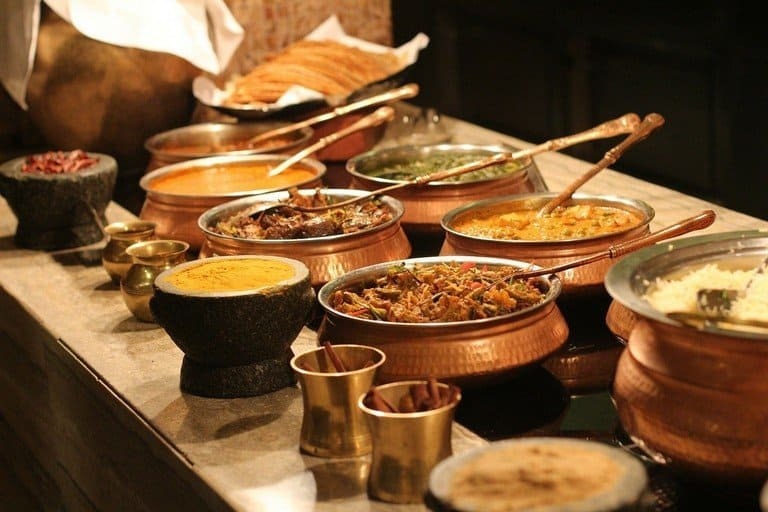 While Indian cuisine is exquisite and street food seems like an appetizing way to experience it, you’re better off sticking to reputable restaurants if you don’t have the stomach to survive Indian street food. Also, be cautious where you drink your water from and don’t even think about drinking from the tap. Stick to bottled water or soda instead. Women travelers, expect to get unwanted attention. Curious gazes are often just that so it’s best to ignore them, but remain vigilant of your surroundings. Wear loose pants or skirts (ankle-length) and tops, and make sure to cover your shoulders. If you can, travel with a group especially when and where the place is thick with people. Traffic is treacherous in India, and public transport is more for the experience than convenience. That said, there are transportation options that are not only tech-driven but are traveler-friendly as well. This includes RedBus for intercity travel and Ola Cabs for your private or shareable cab and bike service. If you have extra bucks to spare - rent a car and hire a driver. Download these apps for a smooth Indian experience: RedBus, Ola Cabs, IRTC Connect. To help you get around; MapmyIndia for tracking, navigation, and location analytics and HERE WeGo or Maps.Me for offline navigation; FoodPanda for your food deliveries; HostelWorld for booking your accommodation; and JustDial for India’s local listings and services. 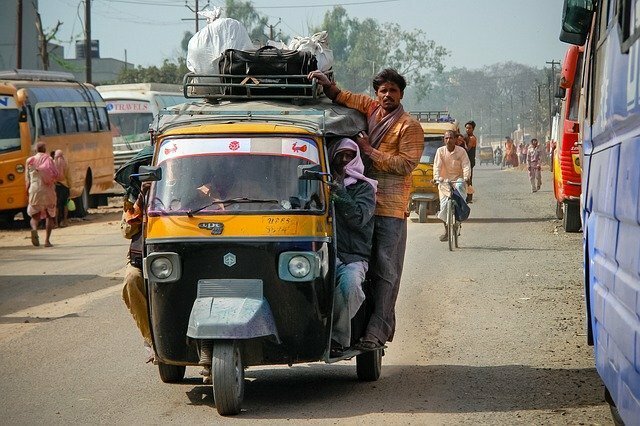 India is a relatively cheap country to travel in; food, transportation, and accommodation are quite affordable with about $20 - $50 to get you through the day. That is unless you fell victim to scammers which sadly are common in the country. Avoid this by drafting a well-researched India travel itinerary and booking arrangements in advance. On the spot purchases or deals can be risky. 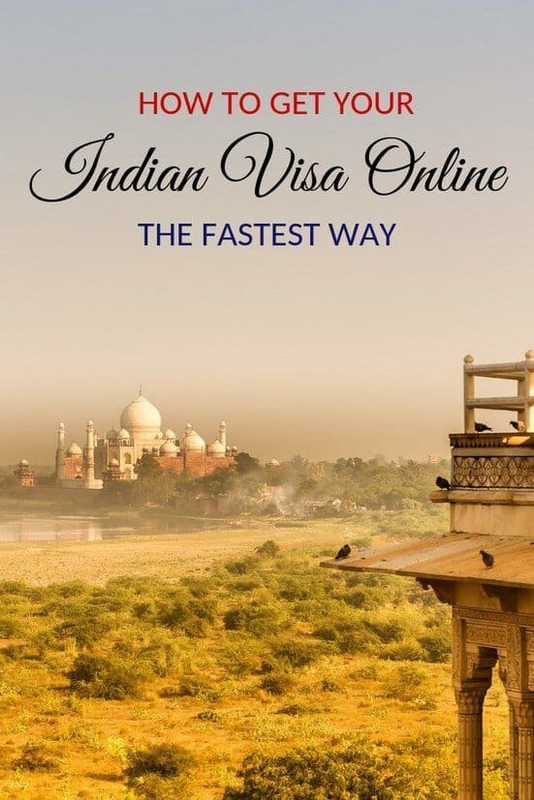 I hope you found this guide on how to apply for an Indian visa online helpful. If you have any questions, let us know in the comment section below.